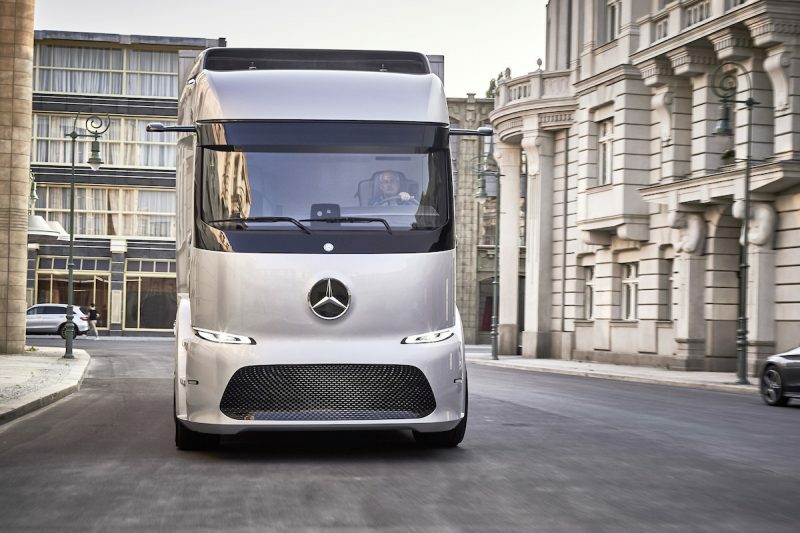 Mercedes’ electric truck will hit German roads this year. 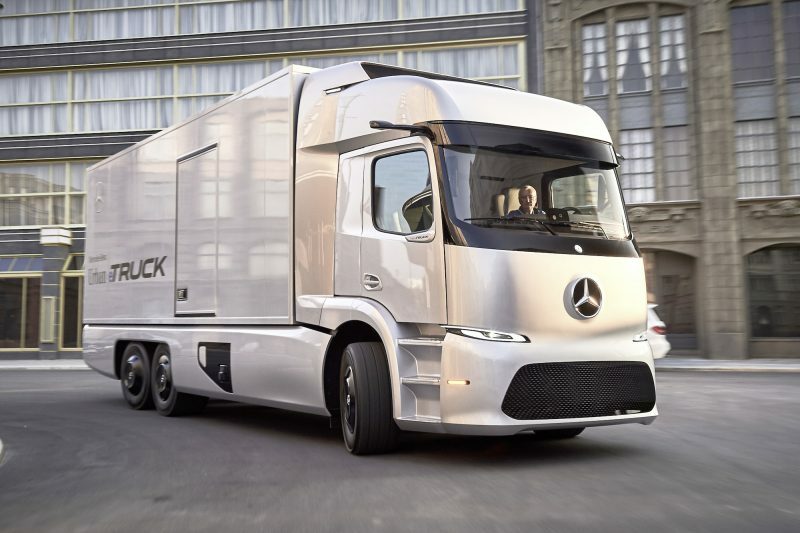 In September, Mercedes-Benz showed off its all-electric truck in Hannover, Germany at a tradeshow for commercial vehicles. The unveiling came just a few months after Tesla CEO Elon Musk said in his “Master Plan, Part Deux” that Tesla will unveil an electric semi truck in 2017 for hauling freight. 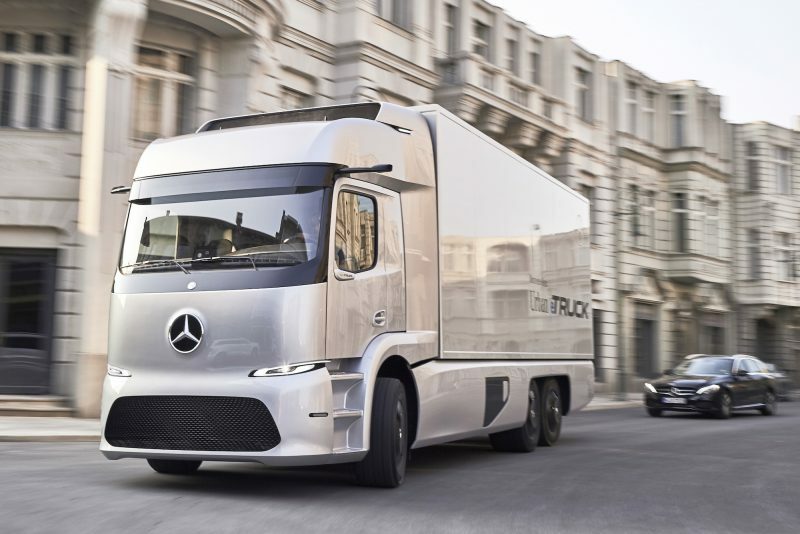 Mercedes is currently talking to 20 potential customers to trial its electric truck on German roads this year, according to a Wednesday press release. 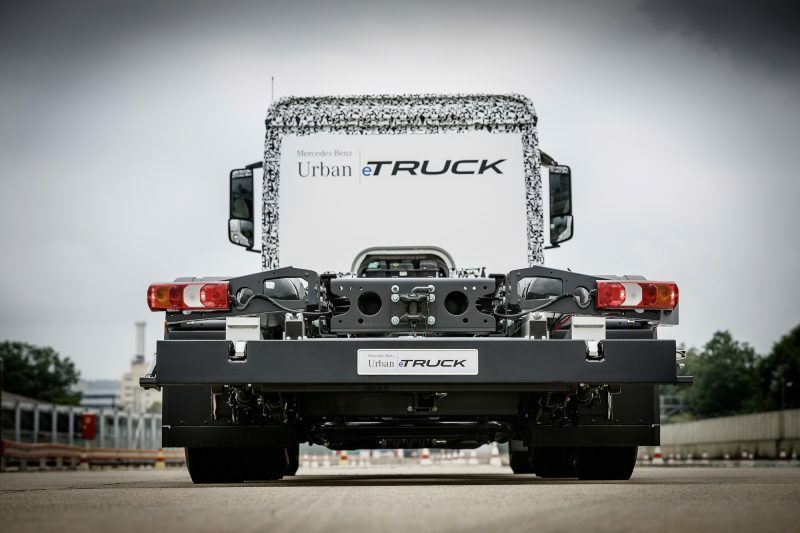 Meet the Urban eTruck: a fully electric truck designed specifically for city driving that has a range of 124 miles. 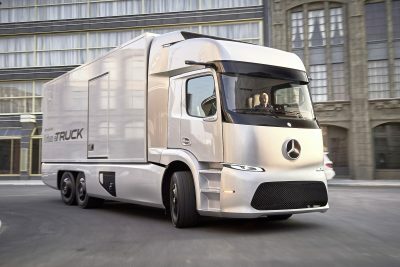 That may not seem like a lot of range, but considering the truck designed for package or cargo delivery within cities, it’s enough to complete a day’s worth of routes, Mercedes said. 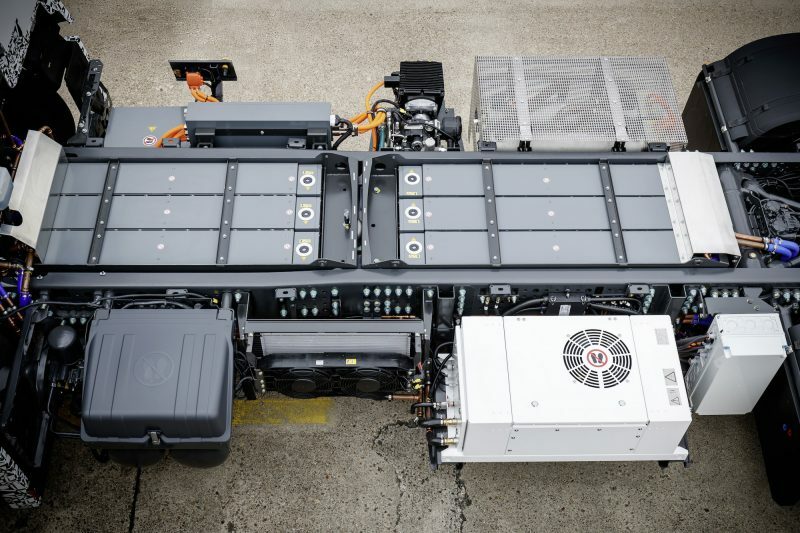 The truck runs on three lithium-ion batteries that are part of a modular design, so an operator can add an extra battery pack to bump up that 124-mile limit. 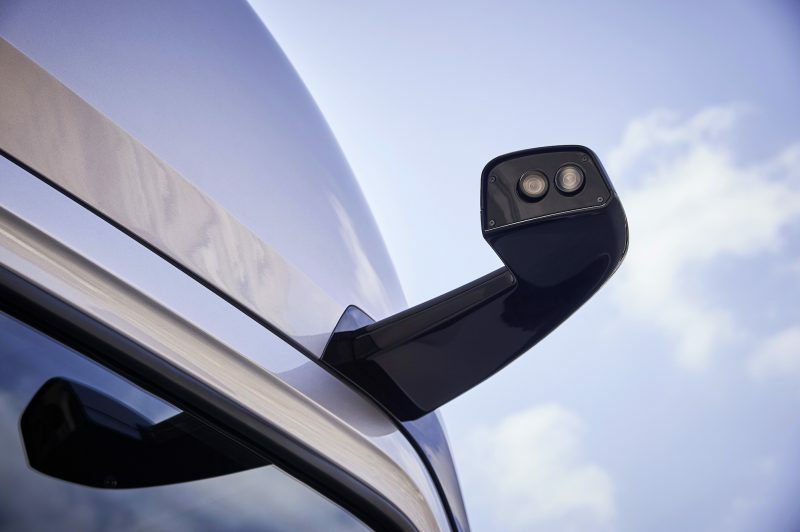 Mercedes-Benz replaced the sideview mirrors with cameras. And those cameras capture the outside world and display it on a screen right above the left side of the steering wheel. The instrument panel is also digital, and there’s a separate, 12.3-inch infotainment display in the center of the dashboard. That central display shows detailed information about the upcoming route. 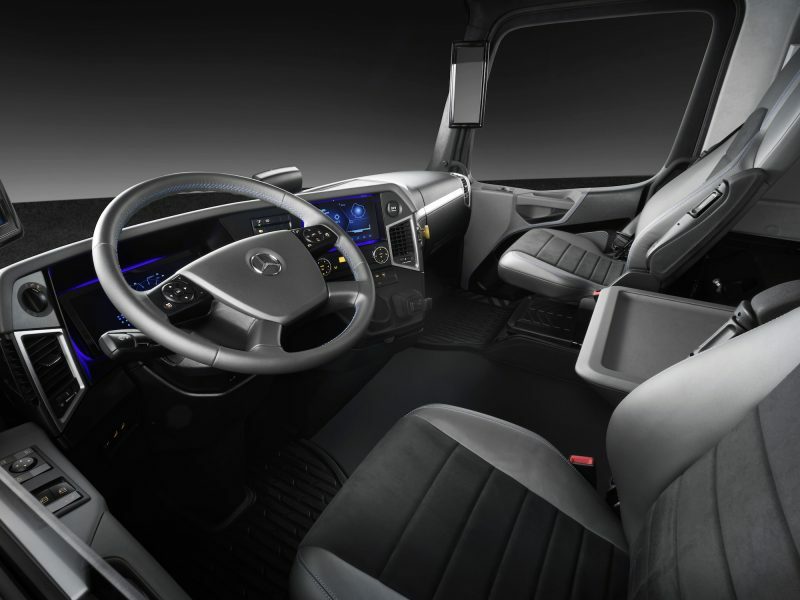 The truck comes with three driving modes: auto, eco, and agile. Auto is best for a standard journey, but switching into eco mode will ensure the driver stays within her target range. 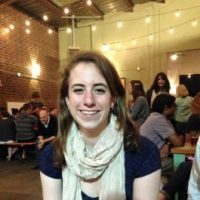 Agile functions as a power mode. 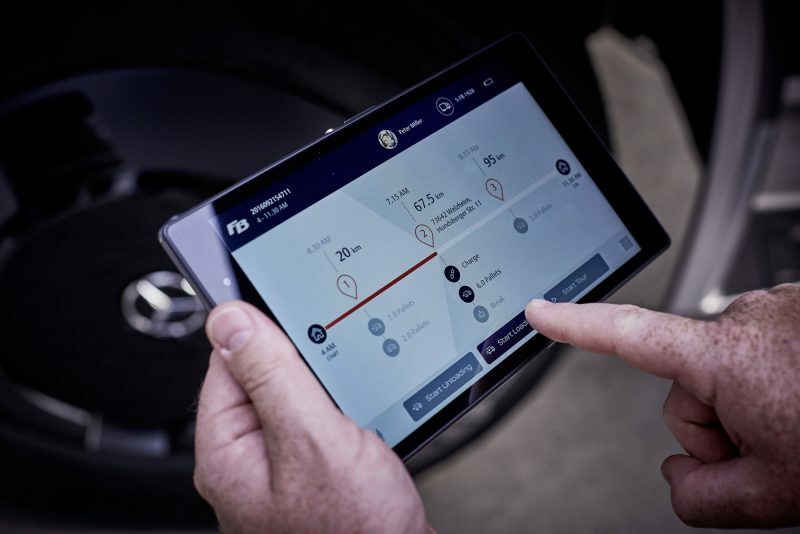 Perhaps the coolest feature of the truck is its virtual monitoring system, which ensures the truck can complete its route without running out of battery charge. The system looks at the pallet spaces in the truck, the weight, and expected driving time to ensure the driver is staying on track. 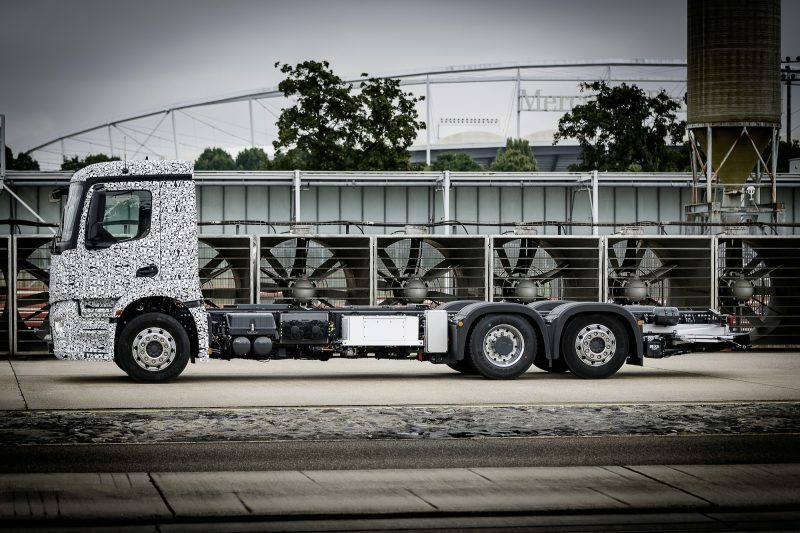 If the virtual monitoring service sees the truck is being pushed to the limits of its range, it will change the truck’s driving mode. 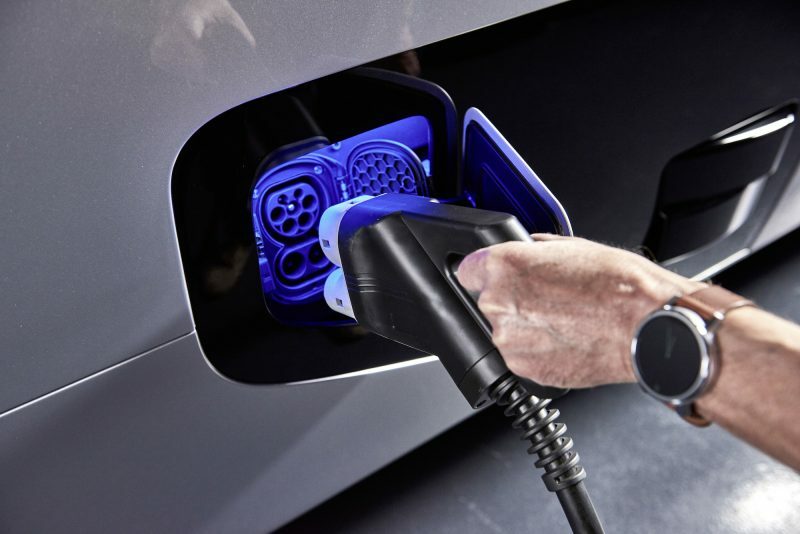 The truck also comes with a separate tablet that keeps track of the truck’s battery life and how many miles it can travel before needing to re-charge. The truck can carry a whopping 57,320 lbs. of cargo. Mercedes said it’s planning to bring the truck series to market in 2020.